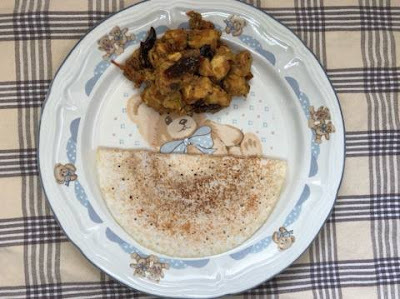 I came to know this dish “Pallipalayam Chicken” in a cooking competition which was cooked by a patti/granny, who got a big applause for this dish. 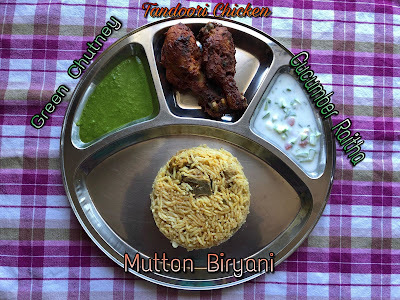 From that day on (actually it was 5 years back 😊 ) this was in my bookmark lists and today finally prepared this for your and here comes for your reviews. Marinate chicken with 3 spoons of ginger garlic paste, turmeric powder, and salt. Let it sit for 30 minutes. Heat gingelly oil generously, add mustard. When it crackles, add cumin seeds, fennel seeds, 3 twigs of curry leaves, 8 red chillies, saute it for 2 mins. Then add chopped shallots, chopped onion, saute it until it turns golden brown. Add chopped tomato, when it turns mushy, add boneless chicken pieces, saute it for 5 minutes. Now all the powders listed in the Ingredients. Mix it well. Adjust salt and cover with lid. Let the chicken cooks and allow the water to drain completely. When the chicken is completely dry, add curry leaf and coriander leaf, keep stirring until the oil leaves its side. Switch off the flame. Usili - I was tempted by this name whenever i see this in google. To be frank, recently became addicted to this dish without tasting it. Atlast on a fine day(! ), planned to prepare and now its for your views. Hope you will enjoy it. Soak both the dhalls for 2 hours. Drain the water completely. 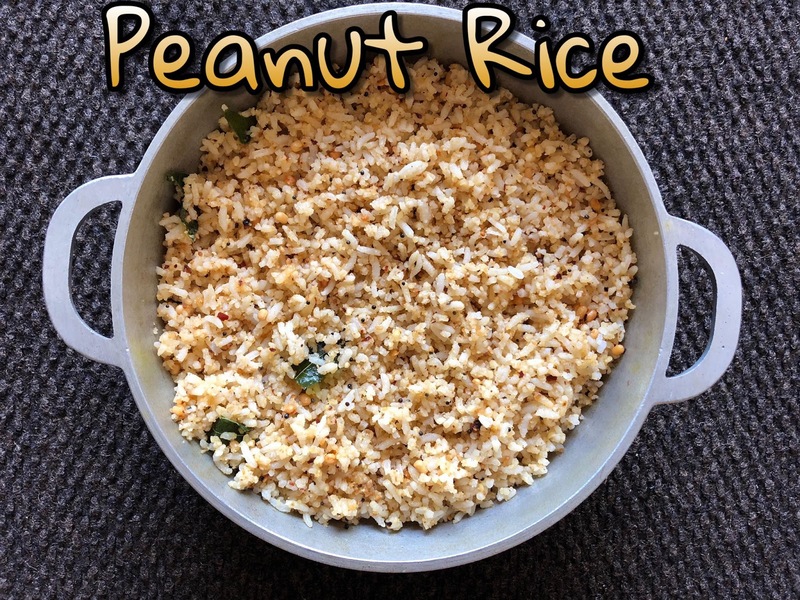 Once done, grind it coarsely with all the ingredients under "For Dhall Mixture". Grease idly plates with oil, Steam Dhall mixture and beans separately in idly pan or in cooker for 10 minutes. Heat 3 spoons of oil in a pan, add mustard, fennel seeds, and chopped onion. Saute it for 5 minutes. Then add steamed beans, add spoon of red chilly powder, mix well. Let the raw smell goes off. Crumble the dhall mixture and add into it. Adjust salt. Saute it for 10 minutes in simmer. Add grated coconut (optional) and garnish with coriander leaf. Note: Same can be done using Clusterbeans and Raw Banana. 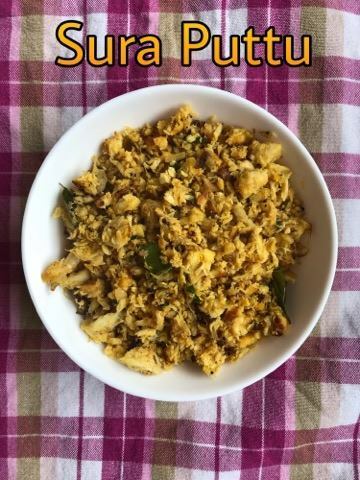 The most favorite dish in seafood is "Sura Puttu/Shark Bhurji". I love to eat it all time as a main dish. This was introduced to me by one of our famil friend. Whenever they prepare this, definitely they will pack some for me. 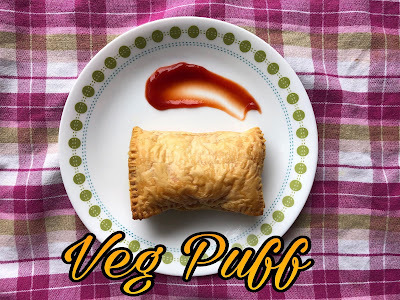 By having a huge crush towards it, one day tried same puttu/bhurji using Salmon fish which was a sooper-dooper hit among kids. 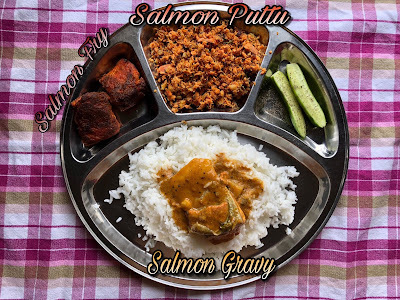 You can find Salmon Puttu HERE. Last Sunday, thought of trying the original version using Sura/Shark. Clean Shark pieces with some turmeric powder and salt in water. Let the water drain. Now take idly pot, arrange the pieces in the idly plates. Let it steam for 10 to 12 mins. Once done, allow it to cool down. Now take a wide pan, scramble the fish pieces, add pinch of turmeric powder, red chilly powder and some salt. Mix well. Let it sit for a while. Heat oil in a pan. Add mustard, when it splutters, add cumin seeds, chopped garlic, chopped ginger and chopped green chillies. Saute it for a minute. Then add chopped onions, saute it by adding pinch of salt. When it turns transparent,add the scrambled fish. Mix well with the onion and keep sauteing for 5 minutes until the fish turns brown color here and there. Adjust salt. As a final touch, add pepper powder, curry leaf and coriander leaves. Give a quick stir. Enjoy with hot steamed rice. Note: I used medium sized onions. More onions More taste. Add more ginger to avoid fishy smell. Same method can be done using Salmon Fish like THIS. Being a fan of Sweet and Spicy dishes, whenever i go to restaurant will immediately order Sweet & Spicy dishes if i spot any. If its non veg dishes, will definitely order chicken lollipop as my starter. With that craziness, this was there in my bookmarked list. Finally tried this on last Sunday. Heat a spoon of butter in a pan. Add chopped garlic, give a quick fry. Mix corn flour, red chilly powder and pinch of salt with water until it reaches liquid consistency. Pour it into the pan, keep stirring without any lumps. Now add tomato ketchup. Stir it for 5 minutes in simmer. Add baked chicken drumstick, stir it until it mixes well with the mixture. Switch off the flame and enjoy. 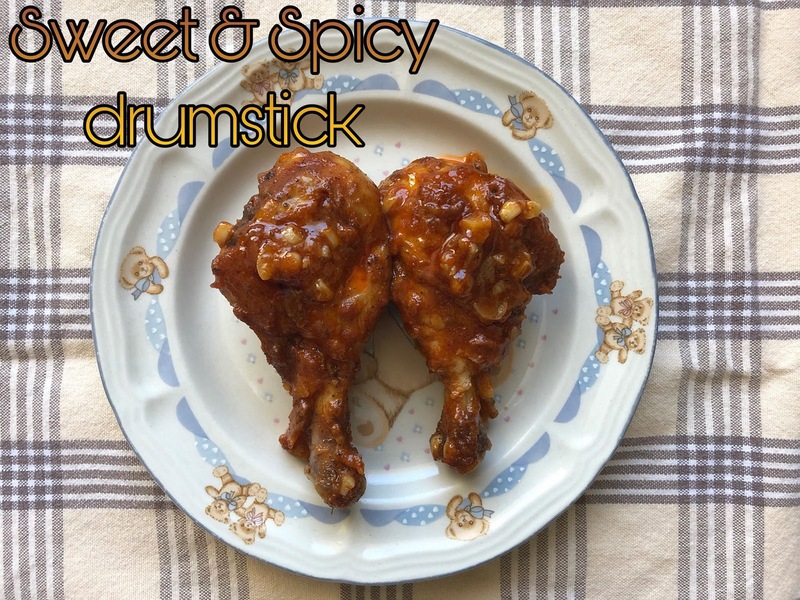 Note: I used baked tandoori chicken drumstick. Ulunthu Kali, the best healthy sweet specially for girls/women which is recommended during puberty days. Its my long time wish to taste it once but never tasted. 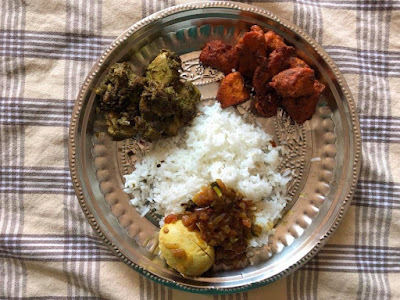 After many years, yesterday it tickled my taste buds so decided to prepare it at home as the ingredients are very basic which is all time available in every houses. Without further delay here come my tried and tasted (finally) dish for your review. Dry roast urad dhall in a pan until the aroma comes. Transfer it into a bowl. Add rice and dry roast for 3 mins. Let both cool for some time. Meantime, heat 3/4 cup of water in the pan, add 2 cardamon, when the water starts to boil, add 2 cups of jaggery powder. Let it boil until the jaggery dissolves in the water completely. Switch off the flame once done. Once the dry mixture is cool down, make it as fine powder in the mixie. Add the powder in a nonstick pan, add 2 cups of water, mix it with powder without any lumps. Once done, place the pan in the stove and pour the jaggery syrup. Keep stirring in medium, make sure there are no lumps. Add 1/4 cup of gingelly oil, keep stirring until it leaves the sides of the pan. Add the remaining oil and give a quick stir as a final touch. Transfer it to the bowl and taste it. Note: If you dont like the smell of gingelly oil, try adding ghee. I used only gingelly oil and didn't tried with ghee. 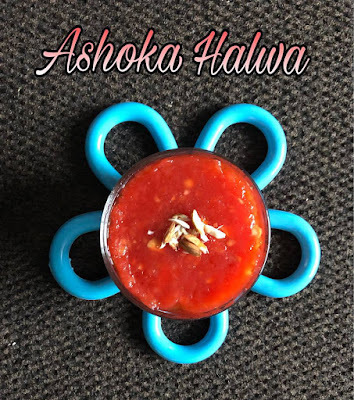 Ashoka/Moondhall Halwa, am a crazy fan of all types of halwa. This i came to know through my office colleague, who bought this after his native trip. From then on i got attracted towards this soft texture and not much chewy when compare to other halwas. 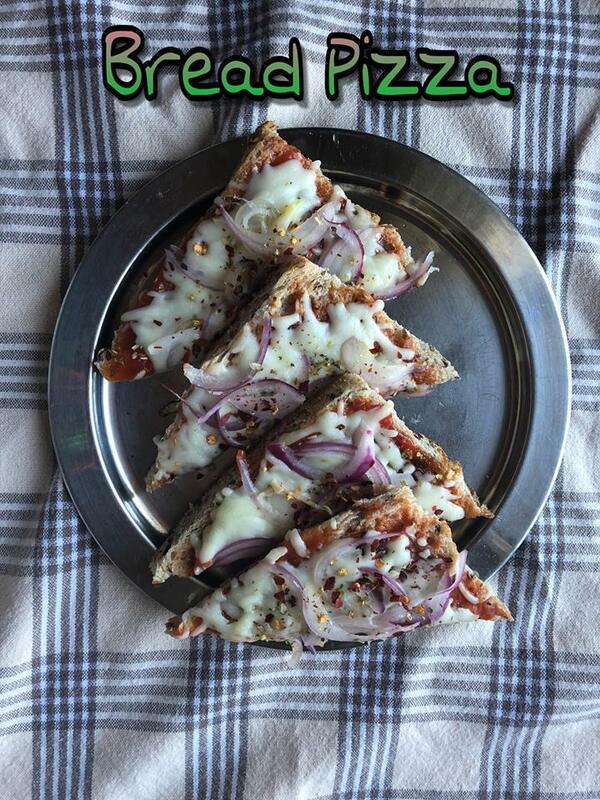 Thanks to Raks Kitchen for this wonderful recipe. Now let’s see my tasted and tried version. Soak moong dhall for 30 mins. Powder sugar in mixie with 2 cardamons*. Pressure cook 1/2 cup moong dhall with 1 cup and little more water. Let it cool and mash it with masher or do a quick whip in mixie. Now heat 3 spoons of ghee in a nonstick pan. Add required chopped nuts and roast it for a while and separate it. Now pour cooked moong dhall, powdered sugar and food color. Mix well and add ghee with some intervals until it separates from the sides of the pan. 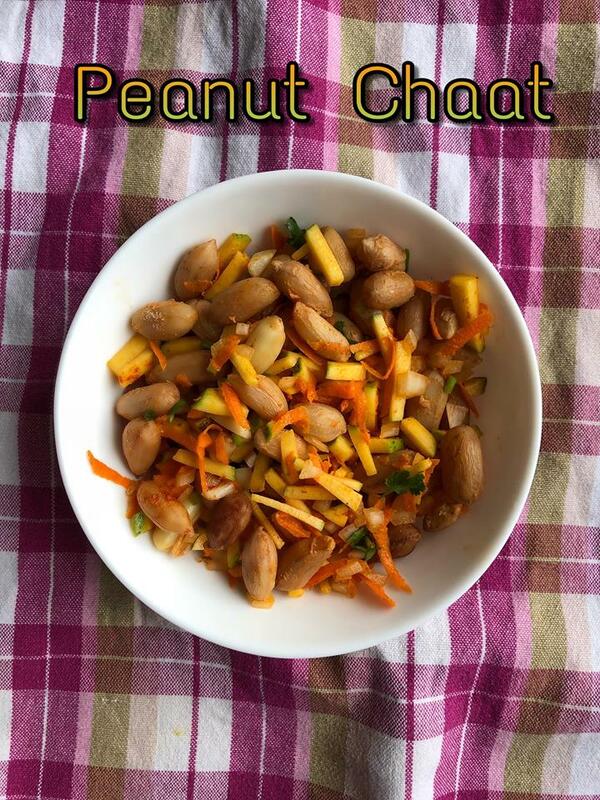 When its not sticky to the pan, add ghee roasted nuts and mix well for 2 minutes. Once done, grease a bowl and pour the halwa. Allow it cool and enjoy it. Note: * You can also add a 3/4 spoon of Cardamon powder if you have. PUFFS - I love this snack all the time only because of crunchy, flaky, spicy tea time snack. I still remember my dad use to get this during all weekends/holidays during my childhood. I will gobble minimum two :D Suddenly this stroked my mind why not to give a try. So during my grocery shopping purchased all the required items and now the snack is for your reviews. Puff Pastry Sheet 2 Nos. Heat a spoon of oil in a pan. Add cumin seeds, chopped green chilly, chopped onion, grated ginger, saute it by adding pinch of salt. Now add grated carrot, green peas, coriander powder, turmeric powder, garam masala, mix well. Cover the pan with lid and simmer the flame. Once the peas and carrots get cooked, add mashed potato, amchoor powder, adjust salt and mix well. Let it cool. Meantime preheat oven to 400 F, take a pastry sheet, roll it thin. Add 1 1/2 spoon of filling and close the pastry sheet and using fork gently press the sides to close the gap. Repeat process for the remaining sheets. Take a baking tray cover it with aluminium foil and grease with oil. Now line up the puff and grease the puff top with butter or oil. Bake it for 20 to 25 mins or until the top turns golden brown. Before marriage, i was a big hater of Non-Veg items. But now i.e. after marriage being a wife for crazy non-veg lover, me started to excavating new varieties of non-veg dishes. In that line, this chutney is excavated/invented by me which is a best combo for Tandoori Chicken which is my latest crush. Hope you all enjoy ! Soak badam in water for 2 hours, peel the skin and keep aside. In a blender, add washed coriander leaves, mint leaves, green chilly (adjust green chilly as per your taste and spicyness), ginger, cumin powder, chopped badam, curd and required salt. Grind it to a fine paste. Transfer it to a bowl and serve with Tandoori Chicken. Whenever i check for variety rice section in my co-bloggers page, this will always catch my eyes. So, decided to do this today for our Sunday's variety rice lunch. Heat 2 spoons of gingelly oil, add urad dhall, pepper corns, grated coconut and red chilly until turns brown. Let it cool. Now take a blender, add the sauted mixture, roasted peanuts. Coarse it gently. DONT blend it for long time which will become like a paste. So whip it for twice. Once done, in the same pan, add another spoon of gingelly oil, add musatrd, curry leaf, add the powdered mixture, give a quick saute. Let it cool. Now add the cooked rice, mix gently without breaking the rice and add required salt. 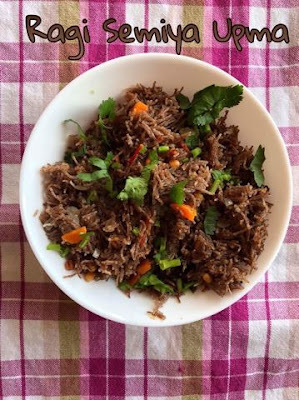 This was recently tried and t(e)asted recipe which i came across while rushing through a food page in FB. Whenever i feel get bored of my regular chicken gravy, this will be there in my menu. This can be prepared either as gravy or semi-gravy dish. Here am going to describe the semi gravy form. Hope you all enjoy it. Grind coriander leaf, mint leaf, green chillies, ginger, almonds, garlic and cardomon to a fine paste. Marinate chicken with the grinded items with turmeric powder, required salt and 2 spoons of curd. Let it sit for atleast 2 hours. After 2 hours, pressure cook the marinated chicken with a cup of water for a whistle. Once the pressure gets released, heat 2 spoons of oil in the pan, add mustard, cumin seeds, all spices, fennel seeds and pour the pressure cooked items. Let it boil until it reaches semi gravy consistency. 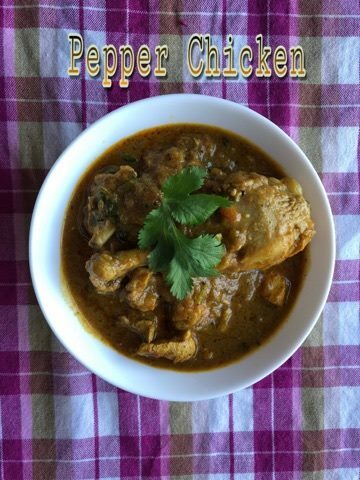 If you need it as gravy, in the pan, add a chopped onion, tomato, saute it with coriander powder and garam masala powder. Then pour the pressure cooked items and let it boil until oil seperates. This is my favorute snack when i was working. Yes, during those peak hungry hours while returning home, there will a man who selling this hot, spicy and tangy peanuts chaat, which will always tickle my taste buds. So, with this short nostalgic memories, me tried this yummilicious evening snack during my tea time. Hope you will enjoy this. Take a wide bowl, add the cooked peanut, chopped onion, chopped tomato (which i forgot to add during my preparation), chopped mango, grated carrot, red chilly powder, chaat masala and salt. Mix well until the masala coats the peanuts. Once done, pour lemon juice and chopped coriander leaf, give a wuick stir. Serve it immediately. 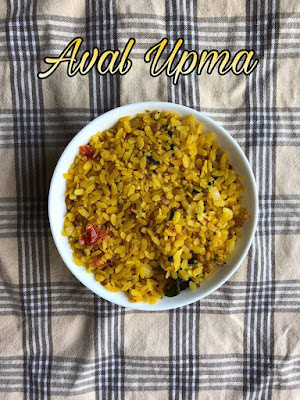 Whenever i hear about "Aval Upma", will definetely go back to my childhood day. Actually it was my childhood snack, which was served by my neighbour during chill rainy days. After marriage, tried only once and after very long years, saw this during my grocery shopping which tempted me to cook by next day. Now, comes for your views too. My addiction towards north Indian dishes is very big. 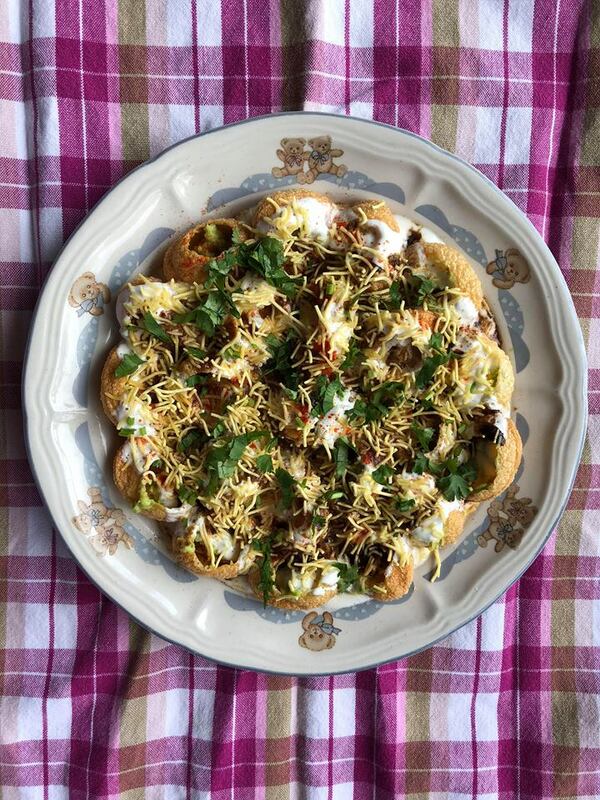 When it comes to chaat items, OMG ! without any second thought, will happily have it any time without getting bored. With that craziness, recently tried Dahi puri chaat with a little twist, yes, i replaced mashed potato with mashed avocado. Fill all the puris with 1/2 a spoon of mashed avocado. Beat the curd with sugar, not too watery or too thick. Let the both sit for a while. Take a wide plate, line-up or arrange all the avocado stuffed puris. Pour sugar mixed curd on top of lined-up puris. Pour tamarind syrup all over the puris and then some green chutney, chaat masala, red chilly powder, nylon sev and finally with coriander leaf. Serve immediately just to get the crunchy feel. Another add on to my millets food. Yes, its summer here so thought to prepare some simple but delicious breakfast for my lazy sunday morning. There comes this Foxtail Millet / Thinai Koozh. This was first try. Hope you will like it. Click HERE for more Millets recipe. Soak Foxtail Millet in water for 4 hours. After 4 hours, drain the water add 4 cups of water (4:1) and hald spoon of salt. Pressure cook it for a whistle and 7 minutes in simmer. Once the pressure gets released, let it cool down. Make the curd as buttermilk and add it to the millet. Add chopped onion and adjust with water (remaining 1 cup or as required) and salt. Make sure the consistency is neither solid nor watery. Enjoy with pickle and green chilly. Just an heads up. The story behind this recipe is very very (actually BIG very) bad one. Better you can move to the recipe portion directly or if u still like to read, please dont blame or scold me, you can go ahead, i dont want to stop you anymore!! My wooden skewers was sitting idle for long time so only to use my skewers(! ), decided to prepare this for our Sunday lunch. I can understand your thoughts. Without further wasting your time, lets move on to the recipe. 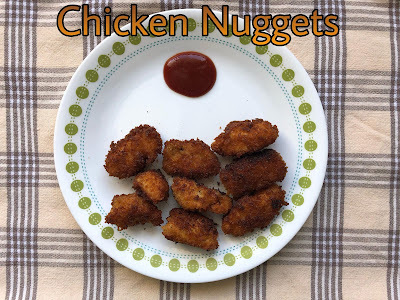 Cut and clean boneless chicken into small chunks or nuggets size. Now take a wide bowl. Add red chilly powder, corainder powder, turmeric powder, cumin powder, garam masala powder, kashmiri chilly powder and required salt, mix well. Now add hung curd (strain the curd in strainer to get thick hung curd) and a tbsp of oil. Mix well. Make sure the masala should not be watery. Once done, add all the chicken pieces, mix well until the masala coats the pieces evenly. Let it sit for 4 hours. Parallely soak the wooden skewers in water for 1 hour, just not to get burnt while baking. Preheat over for 450 F. Meantime, take the skewers, stack the chicken pieces, onion, tomato and capsicum until it reaches the level. Repeat the process until the marinated things are placed in skewers. Take the grilling plate or baking tray, cover it with aluminium foil. 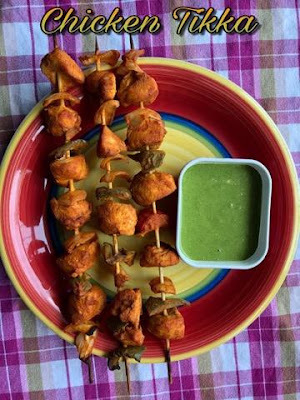 Line up the skewers by shaking the excess masala. if any. Make sure there are some space between each skewers. Just spray some oil on top of each. Now place it in the middle rack. Close the oven. Strictly NO PEEKING, in-between (Bcos i will do this :) ). Let it cook for 20 mins. Now open the oven and toss the skewers to the other side and spray or grease some oil. Close the over, again some-more 10 mins to cook. Once done, turn the settings to "Broil" mode. Let it be in for 5 mins and again toss it to the other side and keep it for another 5 mins. Put off the oven. Take out the oven tray and serve hot with mint chutney garnished with lemon and sliced onions. Check my oven baked Paneer Tikka and Tandoori Chicken too. Note: You can marinate chicken even with store-bought tandoori chicken masala (I prefer Everest Brand) with hung curd, by skipping all those dry powders. You can follow same method with Paneer. The most favorite dish of mine in seafood is "Shark(Sura) Puttu". 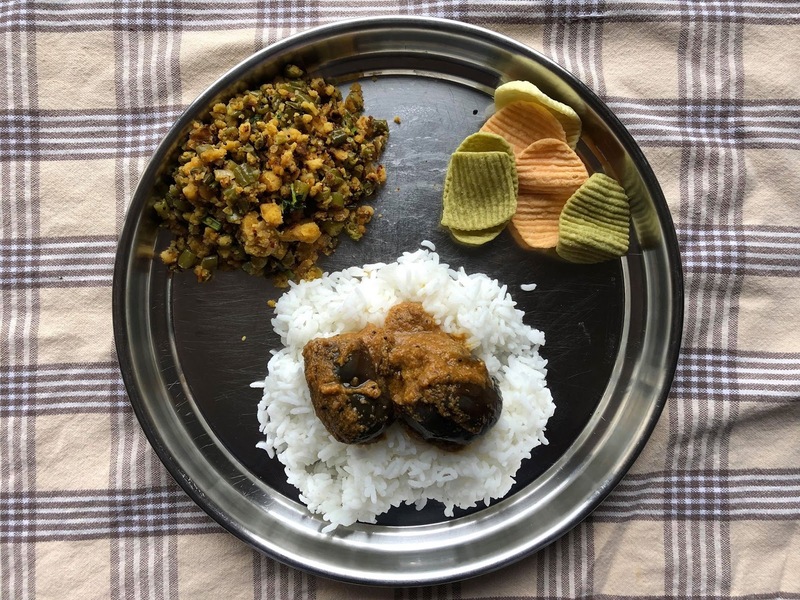 Whenever i visit my mom's place, this is a mandatory dish which i need for Sunday's lunch. Now coming to this recipe, this was my second try. First time i tried with shark/sura and now with Salmon fish. Was bit skeptical to try this, as the fishy smell during steaming process will completely ruin the place but still ignoring all those thoughts finally tried this for my sunday's lunch. Take clean and washed filltes. Grase idly plates with oil generously. Now arrange the fish fillets and close the lid. Steam it for 15 mins. After 15 mins, let it cool down. Later on, scramble it finely and add turmeric powder, red chilly powder and salt, mix well evenly. Let it sit for a while. Heat 3 spoons of oil in a pan. Add mustard, when it splutters, add cumin seeds, chopped green chilly and curry leaf. Immediately add chopped ginger and garlic, saute it for 3 mins. Now add chopped onion and pinch of salt. Saute it until it become translucent. Then add scrambled fish, saute it for 15 mins until it becomes dry. Adjust with salt. As a final touch, add coriander leaf and give a quick saute. Enjoy hot. Note:* I used medium sized onions. Add more ginger to avoid fishy smell. If you need more spicyness, add pepper powder at the end. Same method you can follow with shark/sura. Nowadays, got bored of trying and even tasting broccoli stir fry. 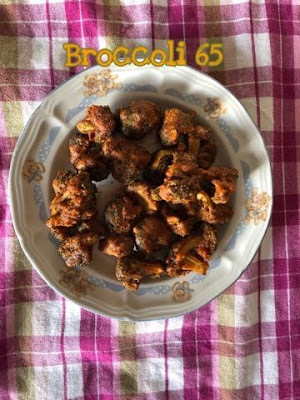 So decided to try a new dish using broccoli. Suddenly this idea flashed me, why not 65 with broccoli when its tried in cauliflower all the time. Hence this was excavated by my small brain. Here you go for the recipe. Boil a pan of water, add the floret pieces and dip it into the hot water for a while. After 10 mins, drain the water completely. LEt it sit for another 5 mins. Take an another pan, mix all the items in "All you need" except oil and marinate with the floret pieces for 15 or 20 mins. Heat a frying pan by pouring required amount of oil and make a deep fry of the marinated broccoli in batches. Note: I used medium sized broccoli which got around 10 pieces. Adjust the powder based on your broccoli size. This is an looted recipe from my MIL. When its a festival day either Pongal, Diwai or Tamil new year, this will definitely be there for our lunch. Till i forced myself to try this, i felt its a complex dish to try everythough i have seen the procedure plenty of times. But now, i just made this within 15 minutes and here comes for your views. Sieve rice flour in a wide bowl and add coconut flakes. Let it sit for a while. Heat a pan, add powdered jaggery, water, cardomom and pinch salt, let it be in flame until jaggery gets dissolved. Once done, filter it in the sieved rice flour bowl, keep stirring it inbetween. Stir well, until it forms a dough by adding all the jaggery water. Now divide the dough into small roundels. Now take each roundels and press it in your palm gently which comes in oval shape. 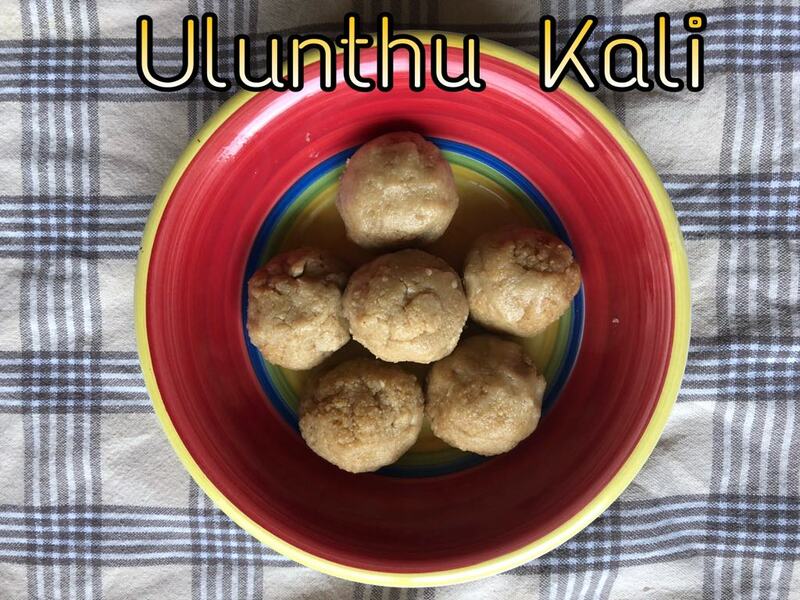 Once done, arrange all the oval shaped dough in a idly pot and steam it for 12 to 15 mins. Note: *Jaggery ratio should be bit more than 1/4 cup or bit less than 1/2 cup. It was a day, where my sweet bud was tickling me badly. Planned to prepare some healthy(!) 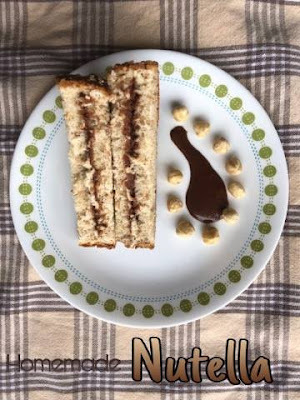 sweet dish in minimal time. After a big surfing, ended up making this easy, ghee-ish, flavorful "Fried Gram" or "Pottukadalai Ladoo". In a mixie jar, add 2 cups of fried gram, 2 elachies and sugar 1 cup. Powder it finely. Once done, heat 1/2 cups of ghee in a pan, add the powdered mixture and let the powder mix well with the ghee. Let it be in flame until the mixture becomes warm. Put off the flame. Make it as lemon sized roundels. Note: You can also chopped nuts and raisins. Am a hige huge fan of chaat varieties. If its just a simple pori/puffed rice with raw onion and tomato, i can gobble it without sharing it anyone (Literally am mouthwatering here). This i learnt from one of my friend during our potluck day which she prepared for evening snack. I really loved it and grabbed the recipe from her. Soak channa for 6 hours and pressure cook it by adding water and pinch of salt for 3 whistles. Once pressure gets released, pour channa cooked water in the pan. Add red chilly powder, cumin powder, garam masala and amchoor powder, let it boil until raw smell goes off, now add cooked chall. Mix well with the masala evenly. Adjust with salt. 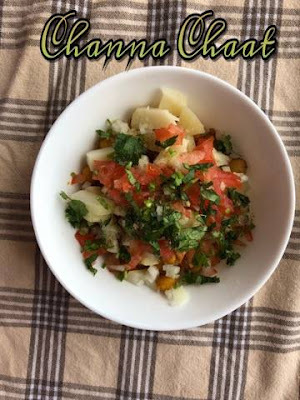 Take a serving bowl, add a cup of masala channa, top it with chopped onion, chopped tomato, chopped coriander leaf, chopped boiled potato, besan sev/omapodi and squeeze some lemon. Gobble it with hot tea. Note: You can also add Tamarind and Green Chutney if you like it. Are you rechecking my dish name ??!! Wondering how come idly without rice and even no sooji ??!! Yes, this i came to know in one of the fb groups where this was trending from past 2 months. Do u think will i leave it as such !! 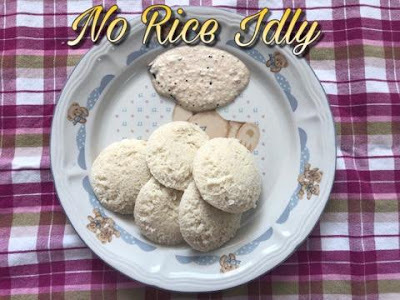 No way, so here comes my tried and tasted “No Rice Idly”. Soak Urad dhall, Moong Dhall and fenugreek nearly 5 hours. Grind it all together in grinder or mixie along with required salt. Let it ferment for 8 hours. After 8 hours, mix the batter well. Grease oil in the idly plates. 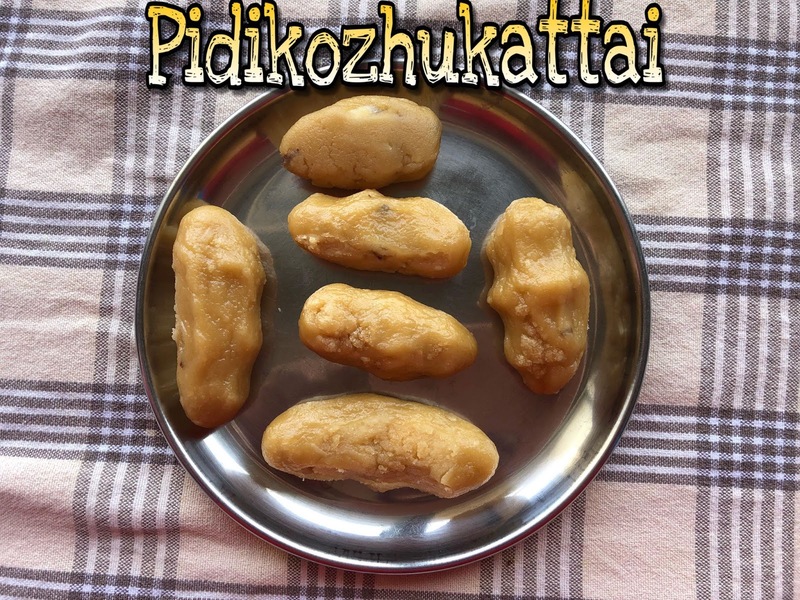 Pour idly batter and steam it in idly pan for 15 mins. Enjoy hot with spicy chutney. I should say this is my nostalgic recipe. Hopefully for most of them. Fine, Today is going to a snack dish which always recollect my school days. Its my all time favorite, delicious, tasty, best tea time muncher with all the best adjectives in the world and the dish is Home made Tapioca chips. Wait ! Wait !! 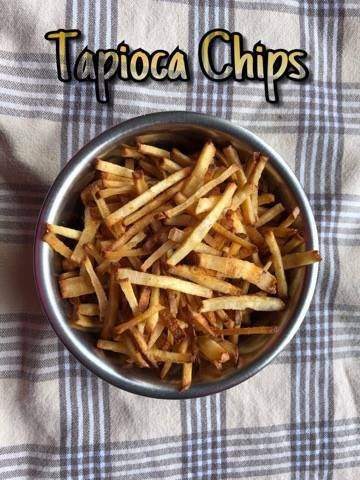 Its sound so dramatic to me, i would always love to call its as “Kuchi Chips”(Stick Chips) that too homemade. OMG ! Without any further delay, lets move on to the method. Soak tapioca in water for 2 hours in water. Once done, peel the skin and make julienne cuts and let it dry for 30 mins. After 30 mins, heat oil in a pan for deep frying, when the oil is hot, add the tapioca juliennes in batches. Keep frying it in medium-high flame until its turns mild golden color. Transfer it to a bowl with tissue paper. Keep repeating the process for the left overs. Once you all done frying, add a spoon of chilly powder and salt. Mix evenly and here comes my favorite Kuchi chips/Tapioca chips. Long long ago i was a big hatred person of all Non veg items. But after marriage i.e. 9 years back i forced myself to taste the non veg. But now somehow started trying new non veg dishes and today’s recipe is one among them which i looted from my family friend. Now sharing this with you all. Do try and let me know your feedback. Heat a spoon of oil in a pan. Add 1 1/2 pepper corns. Grind it to a fine paste along with ginger, garlic and coriander leaf. In cooker, heat a spoon of oil, add chopped onions, saute for a while. Add grinded pepper corns mixture, fry until raw smell goes off. Add chopped onion, saute well until oil oozes out. Now add chicken pieces and all the powder one by one. Mix well. Add water and salt. Pressure cook for a while. Heat a spoon of oil in a pan. Add fennel seedd, cumin seeds, all spices and pour the pressure cooked items. Let it boil until it becomes semi-gravy. Adjust with salt. As a final touch, add slited green chillies, curry leaves and chopped coriander leaf. Mix well. Serve hot with steamed rice or chapathi. Note:* I have homemade Non-veg powder separately, if you don't have any such powder, add garam masala powder. All spices is the combination of cloves, cinnamon, cardamon. Its been my looooonnnngggg time plan to try Andhra style “Tomato Pappu” but somehow i was keep on postponing. After so many postponing attempt, it was "The Day" to try this lipsmacking tomato pappu. It was a big hit with my family members including the little one. With this note, happily sharing my most favorite simple and delicious “Tomato Pappu”. Pressure cook toor dhall and let it sit for a while. Heat some ghee generously and oil in a pan. Add mustard, cumin seeds, hing, and crushed garlic, give a stir. Now add chopped green chilies. Saute it for a min. Add chopped onion, do sauteing for 2 mins. Now add medium sized well ripe chopped tomato. Saute it until it becomes mushy. Now pour cooked toor dhall, mix well until it coats well with tomato mixture. Add some water and salt. Let it cook for sometime. Once the raw smell goes off, add fresh curry leaf and coriander leaf and give a quick stir and put off the flame by adding a dollop of ghee. Serve hot with steamed rice and Potato fry. Its an another add on to my new addiction Millets. 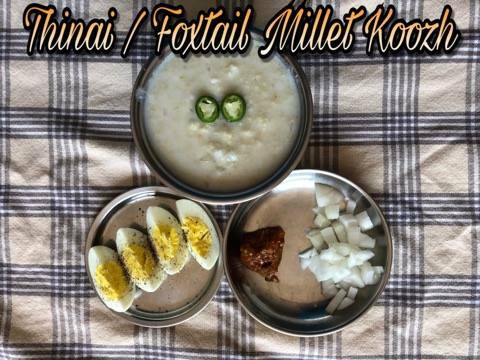 Yes, today its going to be our longtime traditional ragi/foxtail millets semiya upma. I should say this is my chilldhood favorite dish which i can gobble anytime both either in sweet or savory form. 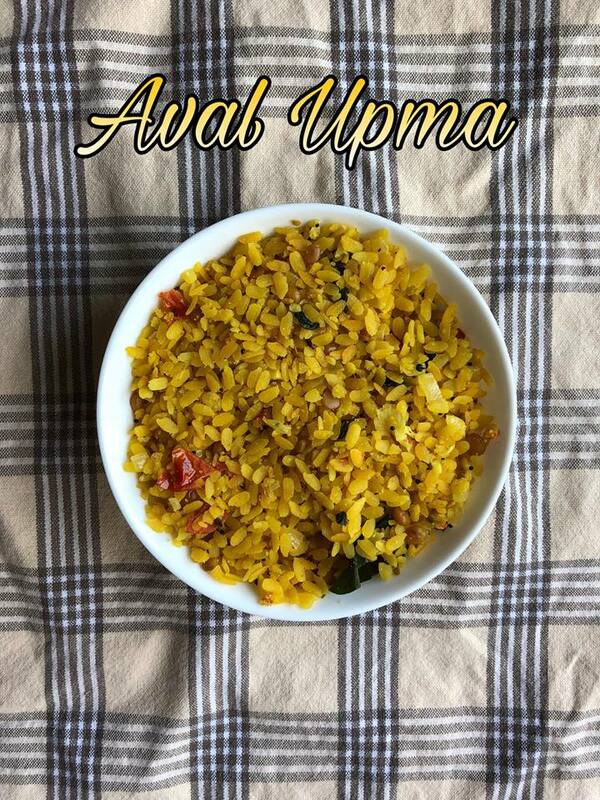 Today’s post is going to be my first attempt on savory Upma. Take 2 cups of ragi semiya in a wide bowl. Sprinkle 1/2 cup of water and mix well. Cover it and let it sit for 5 minutes. When time is up, take a wide idly plate, cover the upper portion of the plate by wet cloth. Transfer the ragi semiya on to it. Place the plate into the idly pan and steam it for 10 to 15 minutes. Meantime, heat a spoon of oil in a pan, add mustard. When it splutters, add a spoon of both urad dhall and channa dhall. When it turns golden brown, add chopped onion, slited green chilli, curry leaf, saute it by adding pinch of salt. Add chopped tomato, saute it for 5 mins. Now add the steamed semiya, mix well with the mixture. Adjust with salt. As a final touch, add grated coconut and chopped coriander leaf. Note: You can also add veggies as per your choice. I added only carrots. Long long ago so long ago, i was a big No person when it comes to paneer. But now, am ready to have paneer in any gravy form. Yes, am just craving for paneer. 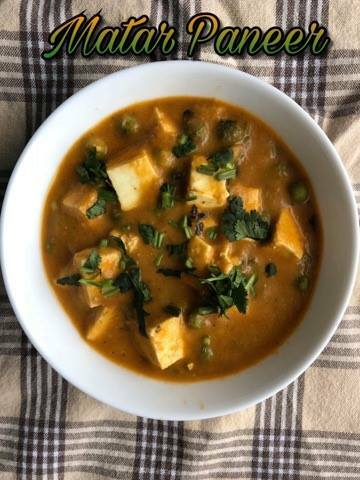 Hence one fine day,thought of preparing Matar Paneer which was in my bookmarked list for ages. Now it comes for your reviews. Heat a small cube of butter in a pan, add 2 diced onions, diced 1 1/2 tomatoes, 2 green chillies, 6 cashews. Saute well by adding pinch of salt. Once done let it cool down and grind it to a fine paste. Heat another spoon of butter in the same, add a spoon of cumin seeds, pour the grinded mixture, add pinch of turmeric powder, 2 spoons of kashmiri chilly powder, 1 spoon of coriander powder, 1/2 spoon of garam masala powder, 1/2 spoon of cumin powder, 2 spoon of kasturi methi, 1 spoon of sugar or tomato ketchup and a cup of green peas. Mix well. Add some water, let it cook for a while. Once raw smell goes off add paneer cubes and adjust salt. Close the lid and let it cook until oil oozes out. Switch off flame and garnish with chopped corinader leaf. Note: You can also replace sugar with Tomato Ketchup. Am a very big fan of vegetable cutlet. But its been ages since i made this tremendous lip smacking starters. 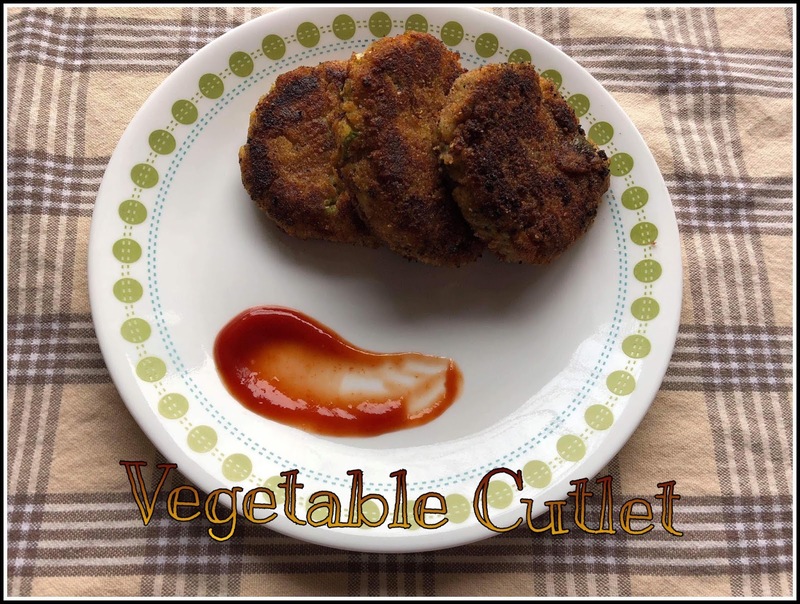 Recently when i was surfing a food page in facebook, came across a perfectly prepared vegetable cutlet which made me to try for a chilly cold evening. Somehow excavated the recipe from my memory and now here comes for your views. Check my deep fried version HERE. Chopped all the vegetables except peas and steam it cooker with pinch of salt. Mash all the veggies using a masher. Let it cool down. Heat a spoon of oil. Add fennel seeds, chopped ginger, chopped garlic, sauté it for a while. Now add mashed veggies and all the above powders. Saute nicely until raw smell of powder goes off. Adjust the salt. Make sure the mixture is not watery. (It its watery or sticky, add maida or breadcrumbs until its thickens) Add freshly chopped coriander leaf, stir well. Let the mixture cool down. Meantime, in a wide bowl add 2 spoons of maida, add water and pinch of salt, mix it without any lumps. It shouldn’t be either very thick or thin. Once the mixture gets cool, divide it as medium sized roundels. Who will say No to Chicken 65 ? Definetely am Not. My daughter who is 8 years, is a big (actually very big) fuzzy eater. The one and only dish i can say her's most favorite is "Chicken 65". Being a daughter of food blogger (fine, LAZY food blogger), i completely given up trying up new dishes for my daughter. Even its bit time consuming process, will never hesitate to prepare this atleast once in two weeks. 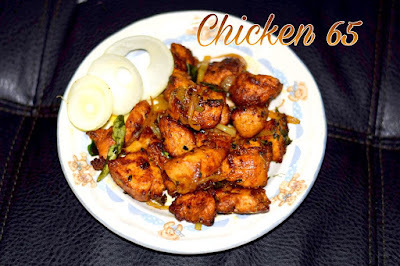 So, here comes my kids most favorite dish (happy mom) chicken 65 for your views. 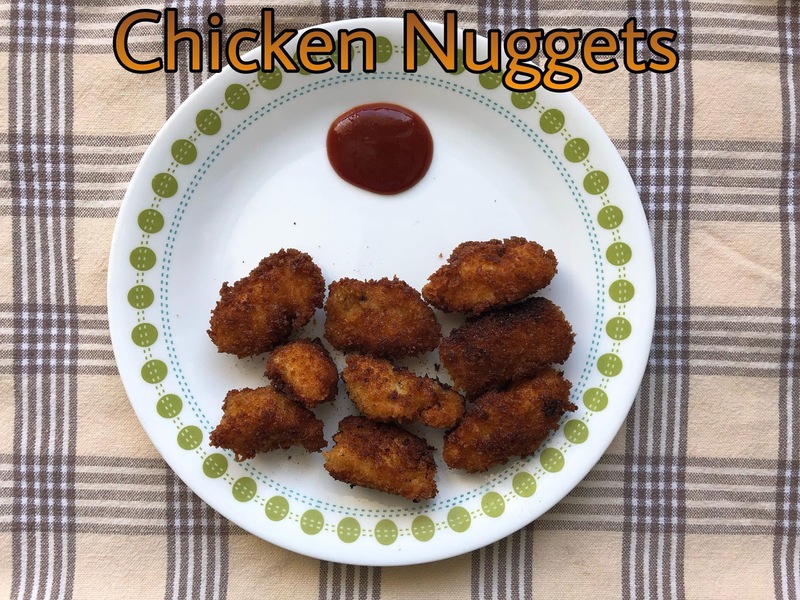 Wash and cut chicken as small cubes. Place it in drainer for 20 mins, until the excess water drains off. Now take a wide pan, add chicken cubes, add all dry ingredients (Red chilly powder, Kashmiri chilly powder, corn flour, besan flour, kastoori methi and salt) and hung curd. Mix well. Add water only if required, mostly you can mariante very well with hung curd itself. If you add water, the marination shouldnot be gooey. Let it sit for an hour. For shallow frying, add 5 tbsps of oil in a pan, when the oil gets heated up, fry the chicken pieces in batches. As a final touch which is purely optional, using a spoon of oil, saute the sliced onion and curry leaf for few minutes and add chicken 65, toss it and serve hot with onions and lemon wedges. Note: You can also do deep frying by adding more oil. I don't like to waste the oil (fried oil) by deep frying so i generally follow shallow frying. As i told you all in my previous post here, my craziness towards are growing day by day. 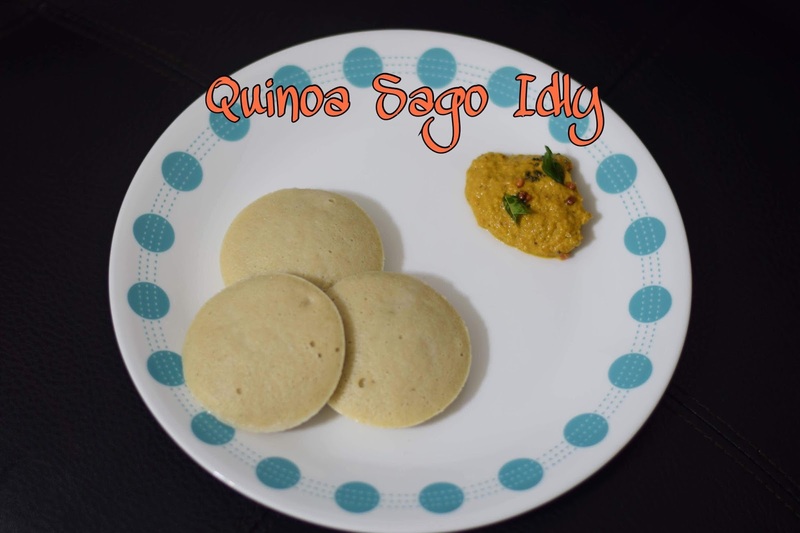 Yes, today's recipe is also comes under millets category in which i have added Sago millet and Quinoa. Members in my family from big to small including myself doesn't like the smell of Quinoa unfortunately as i have bought a big bag of Quinoa, i need to finish of as soon as possible. So started using Quinoa in all the applicable dishes like Idly, Dosa, variety rice etc. Today's recipe is going to be Quinoa rich millet idly ! Check it out below. Soak Quinoa, Sago millet, Puffed rice or Flat Poha and Idly rice in water and in another bowl soak urad dhall and fenugreek. Let it rest for overnight. In a grinder, grind urad dhall and fenugreek to a fine paste by adding minimal water. 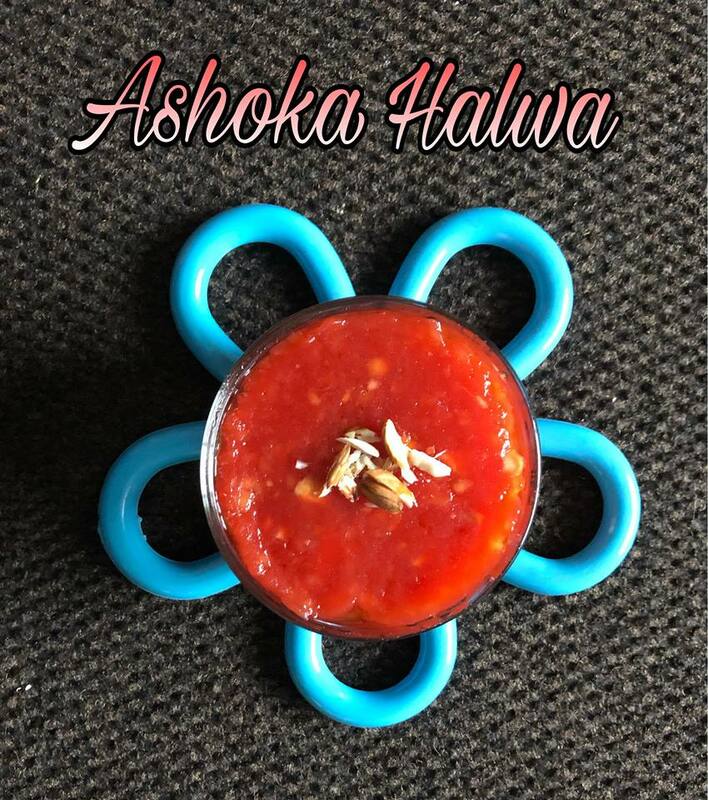 (Urad dhall which am having gives more yield so used only only 1/2 cup, you can add urad dhall based on your quality or yield) Transfer the batter to a bowl. Now add soaked Quinoa, Sago millet, Idly rice and Puffed rice/Poha. 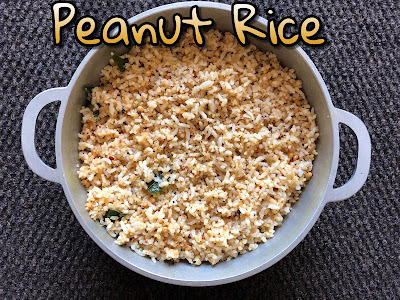 (Used Puffed rice/Poha to get the fluffiness), grind it coarsely by adding required salt and minimal water until it reach between coarsely and soft consistency. Transfer it to the Urad dhall batter. Mix well until both batter mix equally. Let it rest for 7 to 8 hours for fermentation. After fermentation process. Take idly pan, grease the plates with oil. Pour the batter in the plates. Add some water into the idly pan and arrange the plates. Close lid. Steam the it for 15 to 20 minutes. After 20 minutes, Serve hot with some chutney. Paan leaf or betel leaf is considered as the nature’s best gift for digestion and as mouth freshener. This is served mandatorily after every feast ! 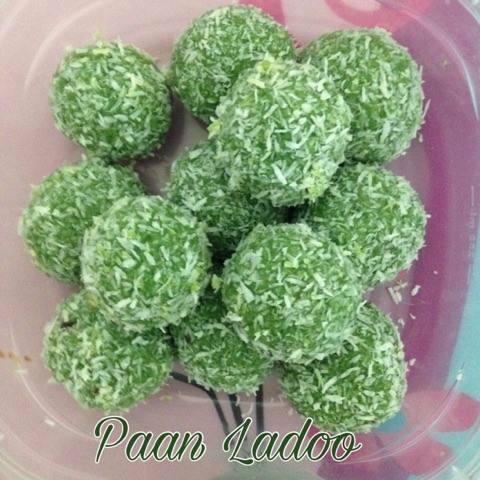 So being a big of sweet paan, whenever i see paan stall will immediately buy without any second thought. So being crazy paan girl, this is the current trending dessert which am came/coming across from in all my fellow bloggers blog and even in the all the FB food groups. Now, it comes for your views as well. Clean and wash betel leaf and drain the water completely. Grind betel leaf along with required condensed milk (as per your sweet bud) in mixie. 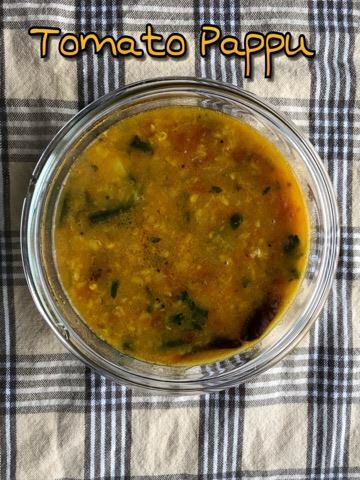 Heat a spoon of spoon of ghee in a pan. In a very medium flame, pour the grinded mixture, pinch of salt (just to enhance the sweet), add 1/2 cup of desiccated coconut, add more until the mixture becomes thick stir for 2 to 3 minutes. Make sure to retain the green color. Let it cool. Grease your hand with ghee, take some betel leaf mixture (as we take for poori) flatten it and make a hole inbetween and add 1/4 sp of gulkand as filling and close it. Make it as roundels. Roll it in desiccated coconut. 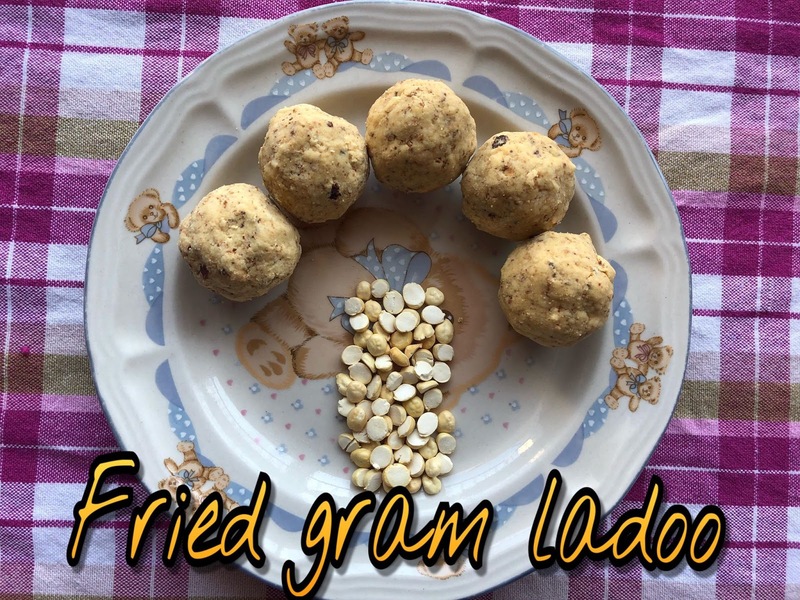 Keep repeating the process to make ladoo. Once done, refrigerate atleast for 2 hours. Labels: corianderchutney, coriandermintchutney, Greenchutney, mintchutney, sidedishfor tandoorichicken, starterchutney, tandoorisidedish.